I just want to say a big Thank You to all of you who sent me gifts for my 60th birthday. This was the biggest birthday surprise I have ever had! Each one of you went above and beyond all that I could have imagined with your attention to details….special cards, and wrapping. Even the gifts you chose were perfect. Bath tea that arrived just after I had a fall, and baths brought so much relief. Cups of coffee and teas to enjoy, and the chocolate….all the delicious chocolate. Chocolate caramels from Montana that I had to order more of, heavenly. The beautiful apron, napkins, tote bag, candy dish,maple sugar candy/maple syrup…delicious, and healthy sweets to eat…amazing books and stationery…..really, there were too many gifts to list. I could literally feel the love and care in each package. My cup runneth over! My hope for each of you is that the blessings you gave me will come back to you in many ways. There’s not much I need to add, but thank you. You’re a group of amazing women and I am so thankful for you all. 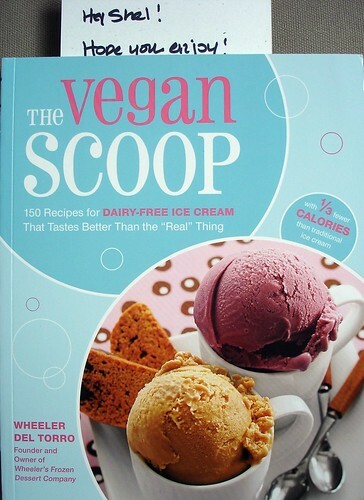 I’m a gleeful little Shellyfish today because I’ve just received a copy of the brand-spanking new The Vegan Scoop: 150 Recipes for Dairy-Free Ice Cream That Tastes Better Than The Real Thing” by Wheeler Del Torro, Founder and Owner of Wheeler’s Frozen Dessert Company. So here’s the really, really cool part – the super-cool Amanda of Gemusings sent me this sweet sweet New England love! That’s right, Wheeler’s yummy ice cream has been for me (and for many others) out of reach – because well, there’s that Atlantic Ocean in the way and all…but I was a lucky ducky in Amanda’s drawing. 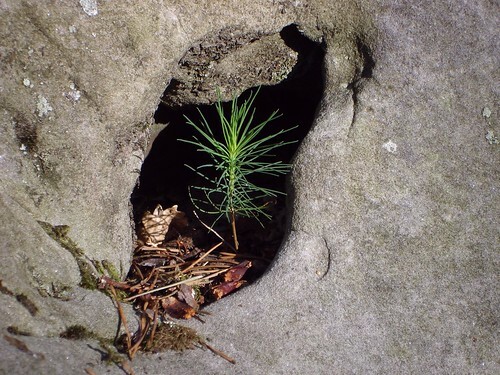 I just love Amanda’s blog, she’s always got the cutest critters and blogs about the New England area in the United States – an area I find so exotic sounding! I’m so happy that she’s become a friend over the past few months. The book itself is a glossy scoop of eye-candy with 9 mouth-watering chapters. It’s beautifully photographed, a real pleasure just to sit down and look at the amazing frosty creations. I’ve not yet had time to properly ogle over the pages, but I’ve already dressed a list of things I can’t wait to make, including : Mojito Sorbet, Lavender, Peanut Butter and Jelly, Key Lime, Black Currant Tea, Toffee, Green Tea, Sweet Curry Coconut…ok, you get the idea. There are even chapters on “Ice Cream Vessels and Sauces” and “Ice Cream Sides and Desserts”! Now all I need is an ice cream maker! Amanda has a great mini-review here if you’re in the U.S. I couldn’t help but look at Ebay France earlier, you know, just to see…actually Monsieur Fish is a big fan of sorbet (raspberry in particular), so I might have to suggest to him how wonderful it would be if I could make him some of these delicious recipes…you know, for him. And I almost forgot! Amanda included some delicious dark chocolate! Salt chocolate! One of my favourite kinds of chocolate. It’s only an occasional indulgence, but oh so heavenly! Thank you again, Amanda. You were already such a generous member of The 60-Day Project, and now this! It really means so much to me. Help for a new, young vegan…and her sweet mum! First a moment of thanks for three rockin’ women and their super-powers of generosity : My dear Jumblefriend at Jumbleberry Jam, mon amie Vegyogini of Hugger Food and Tara our sweet Snowy Vegan*. Your lovely gifts have been received by Mammafish and I can’t thank you enough – all of you 60-Day Project participants are just amazing! I’ve said it before, but it’s so true – I can’t get over the thoughtfulness and detail that has gone into each and every package sent to my mum. I can’t believe it’s almost over! Now, onto the business of the day. I have come to know Sophie, a very talented seamstress and devoted mother to three lovely girls in Australia. Sophie’s eldest daughter, who just turned 13, has decided to go Vegan (insert applause here). Sophie and her family are omni, but Sophie is a very loving and supportive mum and is trying her best to create healthy vegan meals for her daughter. Her frustration is that sometimes she’s creating separate meals and that’s a great deal of work! I offered to give her some links or some cookbook suggestions for family-approved vegan meals, but thought I would call on you, my dear Vegan readers, to help me out. Well, to help me help Sophie help her daughter. Can you feel the love? What are we looking for here? Family-friendly vegan recipes (she’s also got a 5-year-old and a 2-year-old…I think. Sorry if I got that mixed around). She’s been making the obvious things like vegan lasagna, etc. but what I’d like is to provide her with some links and/or cookbook suggestions to make meal planning a little easier. My initial suggestion was Veganomicon because of it’s large variety (everything from appies to desserts) and because the ingredients aren’t too obscure or difficult to find. Do you have any suggestions? Please comment your suggestions or email me and I’ll post a master list of URLs and cookbook suggestions for Sophie – who really is a rocking mum being so cool about her daughter’s decision. 2 kiwis, a small apple, a hunk of cucumber (my precise measurements are indicative of my detail-oriented nature…), a bit of soy protein powder, some water and/or a little fruit juice and about 3 or 4 big handfuls of spinach. Oh yeah. * Tara The Snowy Vegan is running her very first half-Marathon (Go Tara!!!) to raise money for the Alaska Society for Prevention of Cruelty to Animals. Stop by her site and give her a little support – monetary or moral – or both! Before I get to this month’s delicious Daring Bakers challenge, I’d like to say thank you to three wonderful bloggers and participants in the 60-Day Project for my mother’s 60th’s birthday: Tacha of Haines, Jessica of Awesome. Vegan. Rad, and Miss V of Miss V’s Vegan Cookbook. It would be impossible for me to articulate the joy this project has brought my mother. Her fragile health has really isolated her from the “outside” world, and these bits of happiness coming from all over the world are such a ray of sunshine. I wish I could make you each a lovely vegan cheese cake to thank you. I could make you a vegan cheesecake, but I doubt it would survive the post from France to you! I guess I could eat it for you, too (yes, I would do that for you. I’m a giver). If I did make you a vegan cheese cake, I would want to make you the most delicious, and healthy cake possible, because I like you and I want you to have your cake and be healthy, too. Making a delicious vegan cheese cake isn’t really very difficult : you can make any number of tofu variations, mouth-watering raw “cheese” cakes, and if you don’t mind the hydrogenated oils, you can make vegan cream cheese versions, too. When this month’s Daring Bakers challenge was announced, I was rather excited, because I love cheese cake. It’s one of my very favourite desserts, and I’d like to thank Jenny of Jenny Bakes for offering us such a straight-forward and honest challenge. A cheese cake is like a blank canvas – you can make it as elaborate or as basic as you wish. I considered many possibilities to fancy this up : key lime or lavender flavoured cake, or maybe an elaborate coulis to add a touch of sophistication, finally settling on one of my family’s favourite cheese cake recipes, by one of my very favourite bloggers (and good friend) Ricki of Diet, Dessert and Dogs. This recipe makes a beautiful, “genuine” cheese cake in all it’s authentic-tasting glory. It’s like a good friend or your favourite pair of jeans : it just feels right. It doesn’t need any fancy sauce or flavouring to state it’s case – it stands on its own two feet with grace. This luscious vegan cheese cake usually has a lovely lattice top crust, but my sous-chef (a.k.a. Guppy) thieved my reserved dough and ate it. Sigh. I first made Ricki’s cheese cake last summer for my family when I was visiting them in the United States. They have very high cheese cake standards, because my mother’s Omni cheese cake is nothing short of phenomenal. Suffice it to say they were all “bluffé” as we say in French – bluffed – by the light as chiffon texture in tandem with the deep, rich, lemony cheesy taste this cake has to offer. This has become one of my family’s “classic” cheese cake favourites and easily found a home in the rotation. 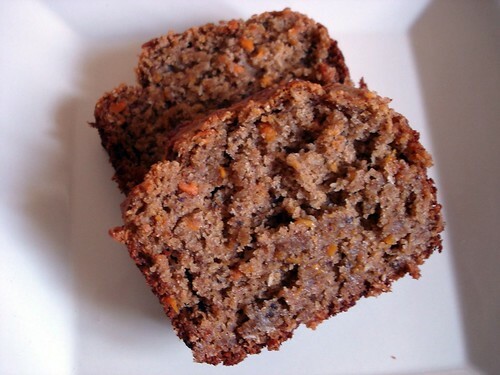 You can find the recipe here, and it will be appearing in Ricki’s up-coming cookbook Sweet Freedom, available May 15th! Sweet Freedom is more than just another vegan dessert book! It’s about the freedom to enjoy desserts even if you normally can’t due to allergies and dietary restrictions, with about a quarter of the book featuring gluten-free or grain-free recipes! 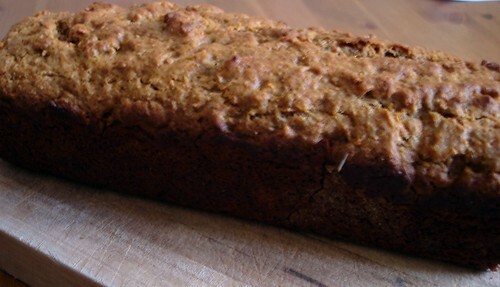 Ricki shows you that you can snub refined flours and sugars and still rub elbows with mouth-watering treats – yippie! You can read more about the cookbook here, or visit the official Sweet Freedom blog to drool over the amazing photos and check her Diet, Dessert and Dogs blog where she has shared some of the upcoming recipes. You 60-Day Project People are all just amazing! I can hardly keep up with all your generosity! Huge thank yous go out to: Maria Rose of Little Things Are Big, Sophie of Her Heart, My Hands, Amanda of Walking The Vegan Line, Carmen of About a Girl, Jessy of Happyveganface, Meg of Becoming Whole and Amanda of Gemusings! It would be impossible to show you all how grateful I am for you and your helping my mother’s 60th birthday the best yet! I’d also like to wish Maria Rose a very happy (late) birthday (again)! I regularly sing the praises of Jessy’s culinary creations, but have I told you how amazing all her burger recipes are? A few of us are trying to convince her she needs to write a Veggie Burger cookbook, because she is just so talented! Jessy’s Butter Bean Burgers recipe is easy and delicious and everyone agreed they were fabulous! We ate them with regular buns and “the works”, and the next day the left-over patties were a fun lunch just served on a bed of fresh baby cabbage leaves. If you’re ever in a slump and you’re not sure what to make for dinner, head over to Jessy’s most excellent recipe index – you’ll find the inspiration you need to get your dinner on! Now I really need to get cracking on Guppy’s brithday gifts…I have less than two weeks to get things done! She’s going to be 4! Aaarrrk! Then again, hummus and pancakes could be good together…I mean, a pita isn’t that different from a pancake, right? Ok, anyway…before I get to the food, I need to send huge thanks to three amazing bloggers and friends : Celine of Have Cake, Will Travel, Ricki of Diet, Dessert and Dogs and Diann of Eat’n Veg’n Vegan Food & Recipes. These three amazing ladies are participating in The 60-Day Project of birthday gifts for my mum, and their goodies have arrived safely chez elle (to her house). I spoke with Mammafish Sunday morning and she was giddy with birthday delight : Celine’s gift arrived on her actual birthday (what timing! ), and Ricki‘s and Diann’s packages arrived the following day and she got to open them at her birthday dinner! She just loved everything and was marveling at your thoughtfulness and talent! You are all very appreciated! Merci!!! And to end this post on a happy note I’d like to share this gem, in honor of National Poetry Month (in the U.S.). This is one of my favourite poems. Washington Post writer Richard Thompson compiled some classic “Bushisms” and penned this oeuvre back in 2002 (I think). I am incapable of reading this poem without laughing out loud. How many hands have I shaked? They misunderestimate me. wings take dream. Put food on your family! I don’t know about you, but I’m thankful that the human and the fish can coexist! Now got knock down the tollbooth and have a happy Sunday.